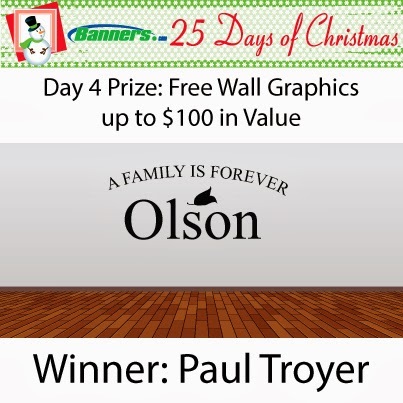 Day 4 Prize: Free Custom Wall Graphics up to $100 in Value! We are giving away 25 prizes worth $3500.00 in our 25 Days of Christmas Giveaway! Our fourth prize winner was Paul Troyer. 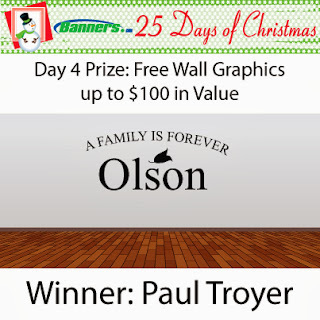 Paul Troyer won a Free Banners.com Custom Wall Graphic up to $100 in Value!